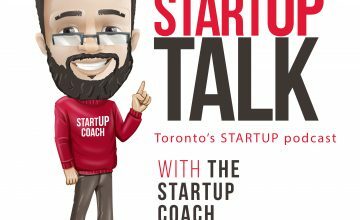 Welcome to Episode 7 of Startup Talk Toronto’s Startup podcast with The Startup Coach on this episode I talked to one of TorontoStarts own Rainer Takahashi of Jauntin about winning $5k at the CNE Canadian National Exhibition national pitch competition, getting insurance with a swipe, getting B2B traction, and what is like for a Startup to find and work with enterprise partners. I also take the time to talk to Stuart Browne, CEO of Pycap venture partners and Startup funding expert, to talk about what he looks for in a Startup, advice when talking to Angel and VC investors and more. All on this episode of Startup talk.